Club 80-90 Forums • View topic - Rear suspension arms, repair or replace? 1. Repair - I’m reasonably confident in my welding that I can put a flat section of 3mm steel in. 3. Upgrade to 16” arms but, a. Is it worth it for the extra wheel options, b. Do I need to replace anything else for 16” parts for them to fit? I think I remember syncrodai saying he moved his arches back but I’m not sure if that was for the 16 arms or just for his wheel choice. 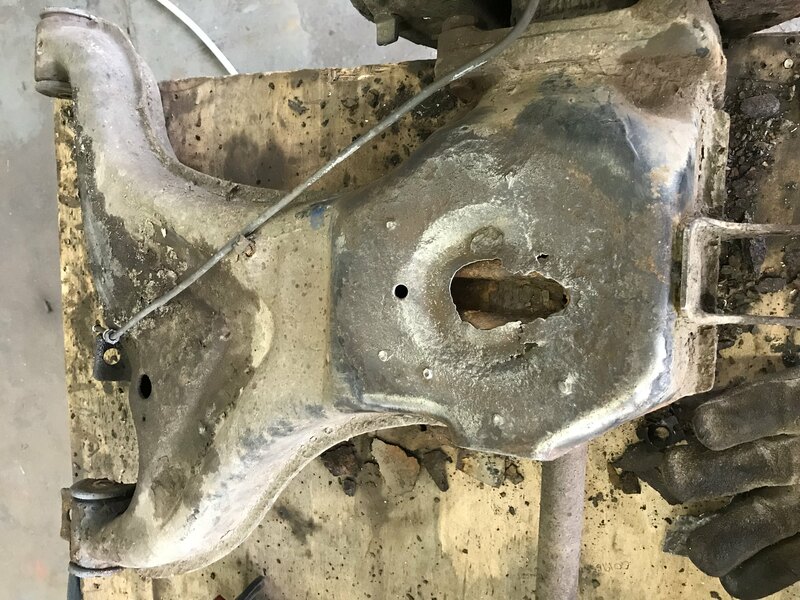 Re: Rear suspension arms, repair or replace? Cheers gents, I was concerned because the arm is supposed to be 3mm thick and it’s completely broken through. I already have the spring seat repair panel, it was the prep to fit that I found this horror. Does the German TUV allow swing arm mods ?? 14" arms are easy to obtain, same as 2wd. Syncrobaz wrote: Does the German TUV allow swing arm mods ?? 14" arms are easy to obtain, same as 2wd. Push the bushes out and get the whole thing blasted. As Jez says, sleeves perforate. Might find it turns into a teabag and not viable to repair. Would be a shame to fix spring seat only for Bush ends to be dead. Thanks for everyone’s input, based on everyone seeming to think it’s just the spring seat that’s buggered I’ve ordered new ones. This is because the metal on the actual arm under the spring seat has corroded through completely.